Does your team find joy in working together? The authors of The JoyPowered™ Team challenge you to choose joy for yourself and your teammates. Find out how to create a high-performing and joyful team by focusing on each member's strengths instead of fixating on their weaknesses. The JoyPowered™ Team will help business leaders and associates build strong inclusive teams, navigate workplace challenges, revitalize teams who falter, and thrive as teams evolve. Joy can start with one team member at a time; it starts with YOU, whatever your role, industry, or area of expertise. 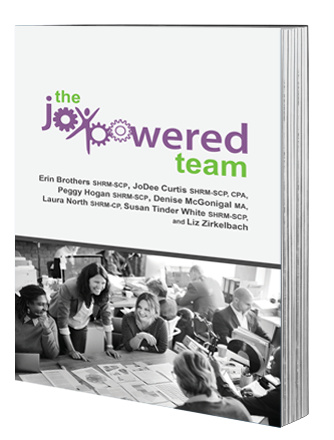 Interested in learning more about creating JoyPowered™ teams? Click the button below to preorder your copy of The JoyPowered™ Team!